Coach Rashid Gayle: (YFPT, SPARQ Certified) Formed Blitz Sports, to use the sum of his experiences as a Pro Athlete, Pro Coach & Elite Track Sprinter to benefit others and serve Cherokee County. He's been running his training and coaching business for over a decade! Yet he still finds time to be a devoted Christian, loving husband and proud father of 8 children! He attributes all of his success to the Lord's hand on his life and his dogged determination to work hard! At 18 he was recruited by Boise State, earning a full scholarship to play Cornerback in the pass happy Big Sky Conference. Rashid went on to be a College All American, 4 x 100m sprint record holder, that signed with 2 NFL Teams, 2 CFL Teams, coached professionally with the IPFL & XFL before coaching 8 seasons of high school football on 3 different teams. Coach Rashid Gayle does not tolerate short cuts, quitting or excuses, period. He will push you to your limit! While miraculously helping you develop a love and a craving for hard work. His style effectively motivates, challenges and drives people to their highest level. Rashid's blue collar mentality, sound training methods, excitement and experience has become The "Blitz Sports Way." Which has produced amazing results! Short term and long term life changing results!  Blitz Sports trained athletes have earned special recognition or scholarships in Softball, Baseball, Football, Track & Field, Volleyball, Lacrosse, Soccer & Basketball. Bottom line: When you work with Coach Gayle you learn quickly that he does not tolerate short cuts, quitting or excuses, period. He is tough with a purpose. Working with him you will become better, because he's good at what he does. But it's more than that...His clients recognize that he believes in them. They come to trust, respect and respond to him. 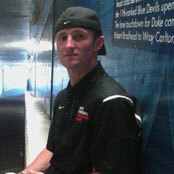 Coach James "Buzz" Busby: At a very young age, Busby was a dominant athlete in baseball, football, and track. When he was only 6 years old, he was hitting baseballs out of the park, rushing for over a 100 yards in most games, and his 4x100 relay team won the state championship. His passion for sports and competition has stayed with him throughout his entire life and led to playing football in college and semi pro. Busby started training with Rashid Gayle when he was 14 years old, and has been his mentor throughout the last 13 years. Coach Gayle opened up his mind to the science behind training, sport specific training, and the mental toughness it takes to be the best. Busby had to cope with disappointment like many other athletes in the form of knee and shoulder injuries. He had 3 knee surgeries before he was 20 years old. He started studying human anatomy in school and became very passionate that there had to be a better way than orthopedics giving surgeries, prescribing pain killers, physical therapists rushing through appointments, and young athletes being told that they can't perform anymore. He decided to devote his life to training others, stressing injury prevention exercises, strict form, and solid rehabilitation methods. 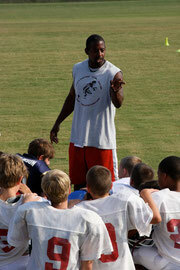 In 2011, he received his personal training certification and started working for Blitz Sports. Athletes that have worked with Coach Busby get bigger, stronger, and faster, but more importantly, they gain the self confidence to make plays and be successful on the field or court. 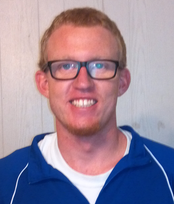 In 2014, Busby increased his knowledge of pain management skills when he attended an internship in San Diego, California with Functional Patterns. He had the opportunity to work with Master Integrated Movement Practitioners on a daily basis. The philosophy was to use as many means necessary, be it myofascial release, static stretching, science based massage therapy, and corrective exercise to bring a human body to its full functional potential. Different types of athletes and non athletes at Blitz Sports have found tremendous pain relief from nagging, chronic, and acute injuries applying this philosophy.